Whenever I am asked if my children have ever done something I was unprepared to handle, I tell this story. Anthony was almost three years old when my spouse became pregnant. We knew it was vital to prepare him for the arrival of a new baby. We wanted to avoid the dreaded effects of sibling rivalry. We read the Berenstain Bears New Baby book a dozen times. We did everything imaginable to make him feel that our new baby was also going to be his new baby. As mom’s tummy began to grow, Anthony kept a little doll tucked beneath the front of his T-shirt. Leah’s birth fascinated Anthony. He was so excited. Nearly everyone who brought a present for Leah brought one for him. It was like Christmas in May. He loved his new sister, even though he noticed that she did not have any teeth. Everything was going just as we had planned. On Leah’s sixth day home, it happened. Anthony hopped out of the bathtub. His rosy skin smelled like soap and baby powder. He asked if he could have an apple. I said sure. He reappeared a few moments later. He placed one hand on the back of my chair while holding the apple in the other. My children create many challenging situations. Occasionally, I am amused. Often, I feel frustrated and discouraged. Sometimes, I feel embarrassed and guilty. Our children are a measure of our success and worthiness. We judge ourselves by their success and achievements. We compare ourselves to other parents. We compare our children to other children. Have you ever watched people buy apples? We rotate each apple looking for a blemish. We hold it up to the light, examining the reflection. We squeeze each one for firmness. We study each competitor looking for the perfect apple. Parents want perfect apples. We want successful children. We want them to be happy and well adjusted. We want them to feel good about themselves. We want children who are loving and respectful of others. We want them to be well behaved and self-motivated. We want them to be independent – not still living with us when they are thirty. All parents have the same goads and aspirations. Most parents confront the same behavior problems. We become annoyed repeating everything three times. We spend too much time arguing. We become drained from the nagging and whining and manipulating and quarreling. We become exhausted from shouting and threatening. At times, it seems that all we do is punish. We feel guilty for getting angry, but it appears to be the only way to get results. We blame ourselves and feel ineffective for not knowing what to do. There are times when we dislike our children because their misbehavior makes us feel so inadequate and miserable. Raising well-behaved children is not easy. Many parents fail. Not because they are inadequate. Not because they lack love for their children. Not because they want something less than the best for their children. Unsuccessful parents are inconsistent. They procrastinate. They give warnings but do not follow through. They say things they do not mean. They lack patience. They punish in anger. Unsuccessful parents attend to the negative rather than the positive. They criticize too much. Parents who have discipline problems do not plan. They do not realize that they can be part of the problem. Parents are part of the problem because of their patterns of reaction. Parents usually react in one of two ways. Sometimes parents react passively. They give in to misbehavior because they do not feel like confronting the problem, at least not right now. You will lean why giving in makes misbehavior worse- Sometimes parents react with anger. You will also learn how reacting with anger makes misbehavior worse. The way you react to your children’s misbehavior affects future misbehavior. A certain amount of misbehavior is normal. My guess is that young children misbehave about 5% of the time. (Some days it feels like 50%!) Knowing how to react to this 5% is crucial. Reacting correctly and consistently can reduce misbehavior from 5% to less than 2%. Reacting incorrectly can increase misbehavior to 10% or more. Knowing how to react is essential. Knowing how to prevent discipline problems is more important. You can escape many predicaments by setting up a few guidelines in advance. Successful parents believe in prevention and planning. They are more proactive than reactive. You will learn several strategies to help you be more proactive. What factors contribute to successful parenting? Successful parents and their children are partners in discipline. Successful parents know that discipline is a teaching process. Discipline is not just punishment. Successful parents understand that their behavior and emotions affect their children’s behavior and emotions. Successful parents model responsibility. They focus their attention and energy on the positive aspects of their children’s behavior. Successful parents emphasize cooperation, not control. Successful parents teach their children to think for themselves. They teach children self-control. Successful parents build self-esteem. They know that healthy self-esteem is the main ingredient children need to develop self-confidence and resiliency. Successful parents learn from their children. They develop reaction patterns that reduce misbehavior. Successful parents are consistent. They say what they mean and mean what they say. They follow through. Successful parents stay calm when their button is being pushed. They use punishments that teach, not get even. Successful parents connect special activities with good behavior. Successful parents anticipate problems. They have a game plan. They have proactive strategies for managing tantrums, disobedience, fighting, arguments and power struggles. Successful parents have plans that teach the value of completing chores, earning allowances, and doing homework. 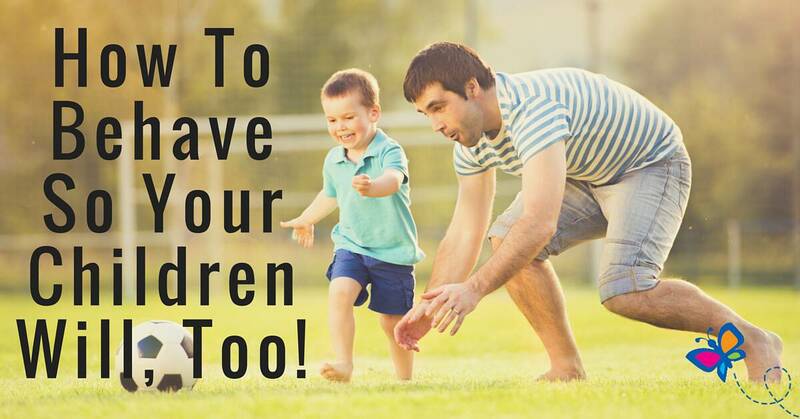 Successful parents do not let misbehavior keep them from enjoying their children. Successful parents are strict but positive. They are serious about the importance of proper conduct, but they have a childlike sense of humor whenever it is needed. Successful parents know how to appreciate their children, even when they are misbehaving. Most importantly, successful parents are open to change. This book will make your life easier. This book teaches you how to get your children to listen the first time you ask them to do something. It teaches you how to be more consistent. It shows you how to get your children to behave without getting angry. It explains how to use incentives without bribing. It shows you how to use punishments that teach. It explains how to punish your children without feeling punished yourself. It teaches you how to correct your children without arguments and power struggles. It empowers you to handle teasing and tantrums. It will even tell you what to do when one of your children “pees” in the refrigerator. If you already have well-behaved children, thank your higher power. This book will help you too. It will make you more conscious of the successful strategies you are currently using. This book will show you how to maintain good behavior and it will prepare you for any future problems. One of the best sources of help for parents is other parents. I realized this after watching parents who have attended my parenting workshops. It’s thrilling to see parents pick each other’s brains for techniques. They find ideas that will stop Jonathan’s tantrums or get Heather to do her homework or get the twins to stop fighting. This book is a collection of ideas that I have learned from parents. Parents who were fatigued and confused. Parents drained from yelling. Parents who felt imprisoned by their children. Parents who walked through life on a treadmill. Parents whose hearts were empty. Parents who sometimes felt like giving up. Parents who discovered a better way. All the examples in this book are true stories from actual parents with real problems. The ideas in this book are simple and practical. Everything is explained with down-to-earth language. There are a number of theories about parent and child behavior. Most authors accept one theory. They try to convince you that their ideas work for every parent and every child. After trying this approach, I decided it was insufficient. Since every parent and child is unique, why not use a variety of methods? Use the best from every theory. This book provides hundreds of ideas. Not all of them will work all the time. You need to select the ideas that make sense to you. We learned most of our Parenting behavior from our parents. Have you ever said something to your children and then realized you heard these same words when you were a child. “Be careful or you’ll break your neck.” “Be quiet and eat.” We parent the way we were parented. We discipline as we were disciplined. Most ideas that we learned from our parents are helpful. Some are not. We pick and choose from these methods. Things we like, we use. Things we do not like, we do not use. We also learn by watching other parents for good ideas. We learn by talking with friends. We learn from their experiences. They learn from our experiences. We share techniques that work. We also learn by trial and error. Much of what we do with our children is based on our best guess at the time. Some things work; some fail. This happens to us all. Every first-born child is a test for most parents. You begin using trial and error the moment you get home from the hospital. I remember feeling confused and helpless. The baby is crying. What does it mean? Hungry? Lonely? Wet? Too warm? Too cold? Trial and error also applies to discipline. If sending your child to bed early works once, you will probably use it again. The beliefs that you already have about parenting and discipline are fine. Learning from your parents and friends and learning by trial and error is normal. Add judgment and common sense and you have the substance for a solid foundation. This book will build on that foundation. Too many parents have the false belief that if they love their children as much as possible, misbehavior will someday improve. Love, warmth and affection are essential. They are fundamentals. You also need knowledge. Imagine you needed an operation. As you were about to be put under the anesthetic, your physician whispers in your ear. “I want you to know that I am not a surgeon. I’m not a doctor at all. Please don’t worry. My parents are both doctors. I have a lot of friends who are doctors. I’ve asked a lot of questions about surgery. Just relax! I have a lot of common sense and I love my patients very much.” Would you let this person use a scalpel on you? Parents need training just as professionals need training. Children need trained parents as much as they need loving parents. Training pulls together all the good ideas you already have. Training provides structure and direction. Training provides a framework. Training gives you confidence. You learn that what you are doing is right. More confidence means more self-control, less anger, less guilt and less frustration. More confidence means more respect from your children. Without confidence, many parents are afraid to correct or punish their children. Some worry that their children will not like them. Some are afraid they might harm their children emotionally. So they let their children misbehave. Why doesn’t discipline work the way it did 20 or 30 years ago? Why don’t the old-fashioned methods work? Why is being a parent so demanding and confusing? Parenting is more difficult because childhood is more difficult. Children are under pressure. Pressure to make adult decisions with the experience and emotions of a child. Pressure from peers. Pressure from school. Pressure from the media. Pressure that seeps down from the pressures on the parents. Pressure on our children translates into problems for us. There are several changes in our culture that have a tremendous impact on discipline and our roles as parents. Our economy has created financial tension in families. Parents come home stressed. Their fuse is short. The rising divorce rate affects all of our children. Today, there are schools where 4 out of 5 children have experienced divorce. Single parenting is stressful. Twenty years ago, everyone in the same town or neighborhood had the same values and beliefs. No matter where you went to play, the rules were the same. Everyone’s parents had the same expectations. This is no longer true. Every family has their own standards. Our children experience many versions of right and wrong. This is confusing to children. How do these changes in our society affect the way you discipline your children? Why won’t the old ways work today? The old ways were simple solutions for a society with simple problems. Today’s problems are more complicated. They require refined solutions. Our children live in the future, not the past. We have to cope with the adversity of our times. If you want to be a successful parent, you have to know how to discipline today’s children. Parents need training. Not because parents are incapable, but because parenting is no longer simple. There are two promises that every parent needs to make to become more successful. Promise to have courage to be open and accept new ideas. If what you are doing is working, stick with it. If not, then have the courage to try something new. Promise to have patience – plenty of patience. If your child is twelve years old, he has had twelve years to develop his behavior patterns. Give your child time to change. This is where most parents fail. We have gone from one hour dry cleaning to one-hour photos to one hour eye glasses to 30 minute tune-ups. Microwave dinners, car phones and express lanes have conditioned us to expect instant gratification ion. Technology has taught us impatience. We believe that because we are trying a new idea, changes should take place overnight. A few days is not long enough to test a new idea. Some methods take weeks to show improvement. Be patient. Promise to practice. Every parent must practice. Even me. My children do not care one bit that I am a school psychologist who teaches parenting classes. When I’m home, I’m Dad. I get tested just like you. I have to practice, too. If you are willing to read about new ideas but do not practice them, give this book to someone else and buy a magic wand. Children learn good behavior. Children learn misbehavior. Behavior does not occur by magic. It is not inherited. A well-behaved child is not the result of luck. Be encouraged – if children learn behavior, then children can learn to change behavior. Parenting behavior is also learned. Good parenting skills do not appear suddenly and instinctively. You can learn to be a more successful parent. This is a book about parent behavior. It teaches you to examine your own behavior and determine when you are part of the problem. It prepares you to support yourself when your children tell you they hate you. It shows you how to stay calm when your button is being pushed. This book enables you to build healthy self-esteem in your children. It explains how to teach your children to think for themselves and withstand peer pressure. This book teaches you how to enjoy being a parent. If you are in pursuit of well-behaved, well-adjusted children, you need to understand how your behavior is connected with your child’s behavior. That’s what I hope to teach you in this book. I hope to teach you how to behave so your children will, too! As you read the ideas in this book, you may think, “Sounds great. That will really work for me.” Reading about a new technique is not the same as practicing a new technique. Practicing a new idea means changing your behavior. Any change in behavior means changing habits. Habits are not easy to change. Old habits are comfortable, new ones are not. As you continue with this book, you will be learning about successful parent behaviors. You will be reading about strategies and techniques that you need to use more. You will learn about parent behaviors that are counter-productive. You will need to practice doing these behaviors less. You will also find that many of your present ideas are appropriate and need no change. As you read, make a list of behaviors that you need to practice more, behaviors you need to practice less, and behaviors that are appropriate and should be continued. Since it takes about a month to develop new habits, review your list two or three times a week for the next four weeks. This review will help you solidify your new habits more quickly.